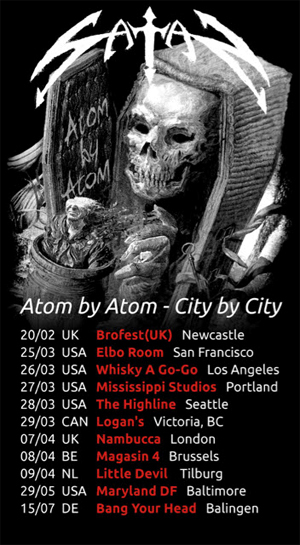 British heavy metallers SATAN will head out on the "Atom By Atom - City By City" tour and have announced dates for Europe and North America. SATAN released their most recent studio album, Atom By Atom, last October via Listenable Records. The LP features ten songs written by the band (including a collaboration with ANGEL WITCH’s Kevin Heybourne).